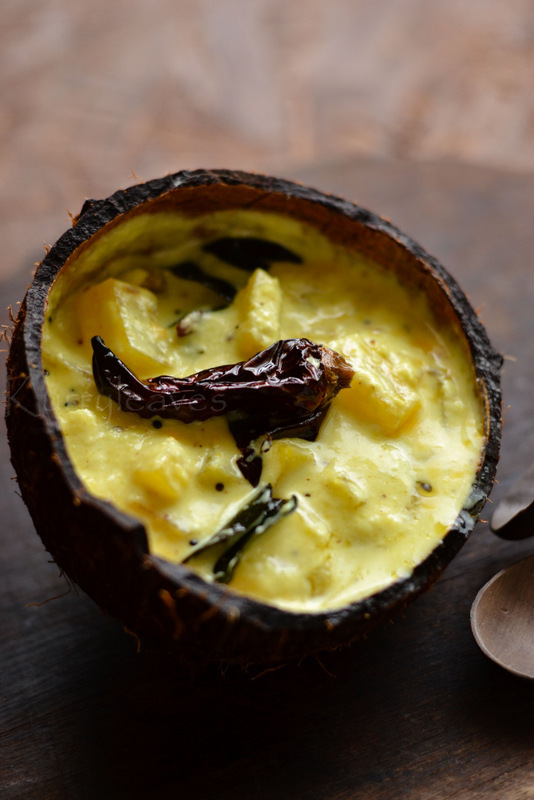 Pineapple in coconut and yogurt gravy. In a blender combine together grated coconut ,cumin seeds and water ,grind to form a smooth paste.Keep aside. 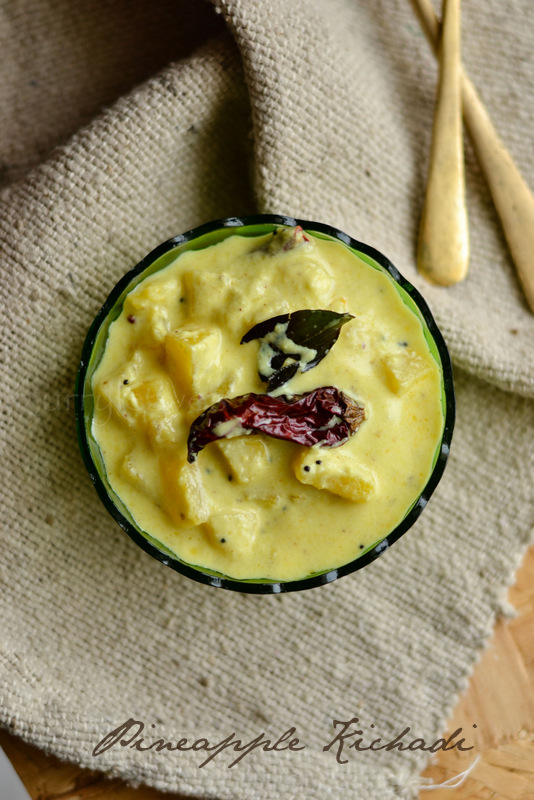 In a pan,add pineapple ,green chilies ,turmeric powder ,salt and sufficient quantity of water.Cook until it turns soft .Next add the coconut-cumin paste and sugar/jaggery ( if using),mix well and cook for 3 to 5 minutes.Make sure that the water is completely absorbed and mixture is thick. Crush 1/8 tsp mustard seeds using a mortar and pestle.Add this to the curry and mix well.Switch off the stove and allow this to cool slightly. Add yogurt and mix well until combined.Add more salt ,if required. Heat oil in a pan,add mustard seeds and let it splutter.Add curry leaves and dry red chilies and saute for few seconds.Add this to the curry and mix well. 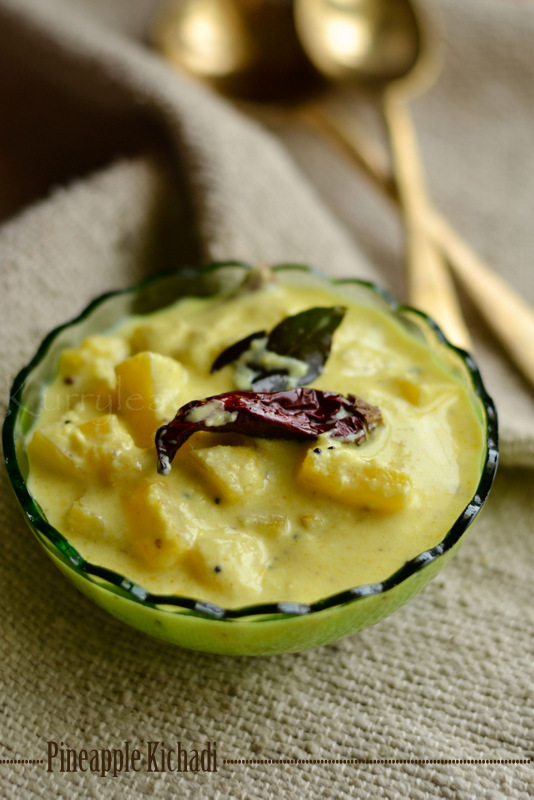 Adjust the quantity of sugar /jaggery according to the sweetness of the pineapple used. looks great. what do you serve along with this recipe?